providing life-changing opportunities for youth through encounters with Christ. 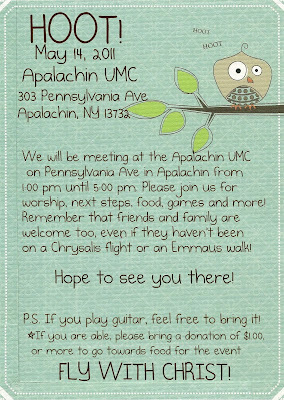 The Chrysalis community will be gathering for a HOOT on May 14, 2011 at the Apalachin UMC on Pennsylvania Ave from 1:00 pm - 5:00 pm (more information on the event can be found in the flyer above). 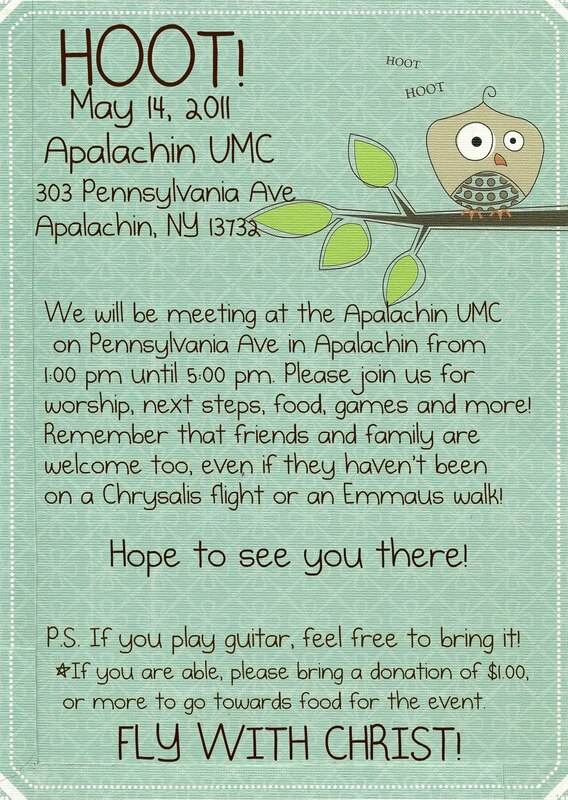 If you haven't been on a Chrysalis flight or an Emmaus walk and are interested in learning more and getting to know the people of the community, you are welcome to join! If you are on Facebook and are planning on attending the HOOT, please add the event (http://www.facebook.com/event.php?eid=124374644305374) and RSVP accordingly.